Dimenhydrinate is the active ingredient of this medicine and acts against nausea produced by the means of locomotion. It is indicated for the prevention and treatment of symptoms of dizziness caused by transportation by land, sea or air, such as nausea, vomiting and / or dizziness in adults and children over 6 years old. - Have porphyria (rare disorder, usually inherited, in which large amount of porphyrin excreted in feces and urine). - This medicine should not be given to children under 6 years old, since, as with any gum, there is a risk of being swallowed by children. - If you have asthma, severe respiratory diseases (chronic obstructive pulmonary disease, emphysema, chronic bronchitis), as thickening may occur and alter secretions expectoration. - If you have a disease or liver or kidney disorder, stomach ulcer or duodenal ulcer or stomach inflammation (gastritis) should consult their doctor before taking this medicine. You should consult your doctor before taking this medicine if you have or have had heart diseases or disorders (cardiac arrhythmia, myocardial ischemia, ...). If you suspect you may have appendicitis symptoms such as nausea, vomiting or abdominal cramping, you should go to a doctor for it can rule out the presence or absence of appendicitis, as dimenhydrinate may hinder the diagnosis of this disease. Avoid exposure to sunlight (even when cloudy), and sunlamps (U.V.A rays). while taking this medication. Do not use this medicine in children under 6 years old. If you are going to perform some allergy test: including skin tests (skin) it is recommended to discontinue treatment 72 hours before the test, not to alter the results of it. If you are pregnant or breast-feeding, you think you may be pregnant or planning to become pregnant. consult your doctor or pharmacist before using this medicine. Biodramina contains aspartame, glucose, sucrose and sorbitol. - This medicine may be harmful for people with phenylketonuria, because it contains aspartame, a source of phenylalanine. - This medicine contains glucose. If your doctor has told you have an intolerance to some sugars, contact your doctor before taking this medicine. It can cause tooth decay. - This medicine contains sorbitol. If your doctor has told you have an intolerance to some sugars, contact your doctor before taking this medicine. Adults and children over 6 years old: 1 or 2 pieces (corresponding to 20 or 40 mg of dimenhydrinate) per shot. If necessary, repeat the dose every 6 to 8 hours. Do not take more than 7 gum (140 mg of dimenhydrinate) a day and always in divided doses. Children under 6 years old should not be used in children under 6 years. Patients with liver disease: should consult a physician before taking this medication because it may be necessary to reduce the dose. It is recommended that the first take at least half an hour before starting the journey (preferably 1-2 hours before), and should not have taken earlier, the first shot is performed when symptoms appear. If dizziness persists, it will pass at least 6 hours between feedings and the next. If you have taken Biodramina more than you should, immediately consult your doctor or pharmacist. In case of overdose or accidental ingestion, immediately consult a medical center or call a poison control center (phone: +34 915620420), indicating the medicine and the amount taken. - Nausea, vomiting, constipation, diarrhea, stomach pain. - Lack of appetite and dry mouth. - Sleep and sedation (sleepiness). - Headache, dizziness and lightheadedness. - Increased viscosity of mucus in the bronchi, making breathing difficult. 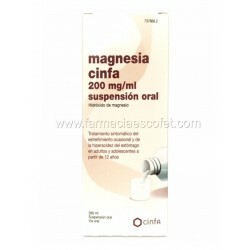 - Retention of urine and sexual impotence. - Glaucoma (increased intraocular pressure of the eye). - Dilated pupils, blurred or double vision. - Allergic skin reactions and sensitivity to sunlight, after intense exposure, hives, itching and reddening of the skin may appear. - Decreased number of red blood cells, white blood cells, leukocytes and platelets. - Porphyria (rare disorder, usually inherited, in which large amount of porphyrin excreted in feces and urine). - Hypertension or hypotension (increase or decrease in blood pressure). - Tachycardia, palpitations and / or cardiac arrhythmias. - Hyperexcitability may occur, especially in children, with symptoms such as insomnia, nervousness, confusion, tremor, irritability, euphoria, delirium, palpitations and even seizures. I could also communicate directly through the Spanish Pharmacovigilance System for Medicinal Products for Human Use: https://www.notificaram.es. By communicating adverse effects you can help provide more information on the safety of this medicine. Keep this medicine out of the sight and reach of children. Store below 25 ° C.
- The active substance is dimenhydrinate. Each medicated chewing gum contains 20 milligrams of dimenhydrinate. - The other ingredients (excipients) are: core: aspartame (E951), gum base, dextrin, glycerides solid semisynthetic, light magnesium oxide, magnesium stearate, levomenthol, sodium saccharin, sucrose, silica colloidal anhydrous, sorbitol, talc , white beeswax, methacrylic acid copolymer and methylmethacrylate (Eudragit S), aroma menta.Recubrimiento: calcium carbonate, liquid glucose, basic butylated methacrylate copolymer (Eudragit E), macrogol 35000, emulsifying wax, dihydrogen potassium phosphate, povidone, titanium dioxide (E171), magnesium stearate, levomenthol, peppermint oil, povidone 25, sucrose, talc.